I wondered sometimes, how was ma mère. Was she doing well? Did she maintain her vile and lurid behaviors? Had her clandestine carryings-on caught up to her? Had she met her demise? I wondered how would it be to see her again. And I wondered what would she think of being une grandmère. Would she adore my little girl, my Mercedes? Or would she loathe her as she loathed me? Cece was sitting up now, and trying to crawl. Everything her little hands could grasp went into her mouth, including my own fingers. And her little teeth were sharp as razors. Her smile was as bright as sunshine, and warmed my heart like nothing else; I had not known such encompassing love, not even with Yeto. His love held my heart, for certes. But the love I bore for my child, it had changed me. I was at once sure of her place in my heart and terrified I might ruin her forever. But non! Surely not. I had the love of a good man. Strong and good and caring. Surely, Yeto was passionate with me, loving me as I had never imagined. But never did he strike me. Barely had we spoken cross words. The man was a saint. My heart did a little tumble in my chest, pitter pat, pitter pat, to think of the times I had doubted his love, his integrity—his intentions. Enyeto had stood by my side, reassuring me, affirming his love for me. Time and time again, constant, sure. Even more remarkable were the times—so rare now—that I railed. On and on I cried and wept, ranting at the behaviors of men. The abuses I had seen, the intimacies I had been privy to. And my husband stood quietly by my side, holding my hand or stroking my hair, waiting for the storm to subside. He spoke loving words to me, his soothing words a balm, healing to my heart and soul. And to my memories. Amidst the clamor of confusion, can she hear the whisper of her memories? Simone Dubois’ life was unraveling. All she had known and held dear was gone from her. At ten, all she wanted was to escape beneath the black waters of the Edisto River. She couldn’t know her whole life would be stolen from her. 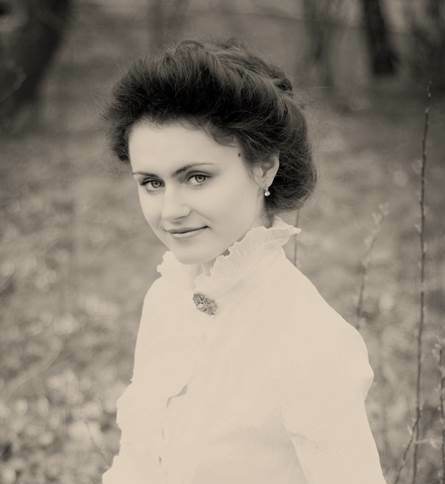 When she returns to Saisons sixteen years later, she has no memory of ever having been there. Not even that it was her birthplace. Enlisting the help of her childhood friend, Mercedes—whose name stayed with her, if in shadowy dreams only—Simone encounters misty memories, and stirs up more mystery than she started with. rem: Bonjour, Madame, bienvenue. So wonderful to have you here today. SIMONE : Oh do call me Simone. You of all people know me so well. rem: Indeed—Simone. You’ve brought your friends with you, I see. SIMONE : Well, my story truly wouldn’t be complete without them, non? rem: It surely would not. Bienvenue, Mesdames—welcome back, I should say. SCARLETT: Madame, it is an honor to visit with you again. rem: Ladies, it’s been quite the turn of events. What can you tell me of the day that started it all? SIMONE : When Mamá—died. That’s what started it all. rem: Simone, I’m so sorry. I know how awful that was for you. MERCEDES : We were girls still. None of us truly understood what had happened. rem: It’s hard to fathom regardless of age. PEARL : Truer words were never spoken. rem: Pearl, this all had an horrific impact on you as well. PEARL : Yes, well, it did. But—looks to Simone—I’ve come to realize takes her hands that you were her victim far more than I.
SCARLETT : What a tangled web it all was. MERCEDES: It all comes down to the Truth, and whether we believe Holy Scripture. SIMONE : He did in the end, Lett. He did in the end. SCARLETT: Pearl is a dear. And she’s right. smirks at Simone This is rather about you. rem: Oh my. I don’t guess I’ve seen you four be so silly with one another. MERCEDES: Oh, Madame. This is quite tame. SCARLETT: It was awful for you. PEARL: It was awful for all of us. MERCEDES: takes Pearl’s hand We, none of us, knew the impact to you then. PEARL: Yes, well. You always did give us such a fright. rem: Simone, Mesdames, I am so sorry for your loss. SIMONE : shaky breath Madame, Robin, it is I who apologize to you. PEARL: Stuff and nonsense, Simone. We’re here to talk about you. SIMONE : smiles Yes, well… I only ever wanted to escape. I never wanted to run away. I wanted to swim downstream and climb out and be by myself in the woods. For a while, at least. rem: And we all know that didn’t happen. When did you suspect Lissette wasn’t truly ta mére? SIMONE : I think I always knew. But I was just a child. I had no reason to question her and I didn’t know to follow or trust my instincts. She couldn’t have known, of course, that I’d have amnesia. SCARLETT: Or that she took the wrong girl. SIMONE : No, she… Well. No, but it worked out better for her that I couldn’t remember. rem: What would you have done if you’d not lost your memory? PEARL: What could she have done? SIMONE : Touché, Madame. Touché. winks at Pearl You are so right. If I had not lost my memory, I would have found my way home, to be sure. rem: You were a most ingenious and clever little girl. SCARLETT: I wonder… If Simone hadn’t come back, would any of the rest of us—well, how different it would have been. PEARL: Well, of course it would have been different. Except for Mercedes, of course. She would have got her letters. SCARLETT: Would you have left, too? PEARL: tilts head, pauses I’m sure I… perhaps not. MERCEDES: There is a time and season for everything. I’m sure Le Seigneur had—has—His plan and purpose, and we all would have been reunited one way or another. rem: Very true words, Mercedes. SIMONE : There she goes again. laughs Always so pragmatic. PEARL: I think that was more Spiritual. rem: What is the sweetest part of being home, Simone? SIMONE : Papá. He has been restored. Not to me only, but to his right mind. rem: Grief can be a crippling companion. SCARLETT: Merci, Madame, for telling our story. rem: Mes chères, it has been my pleasure and my privilege. As has been chatting with you again. SIMONE : Always glad to be here, Robin. MERCEDES: You have told our story well, Robin. I thank you, we all thank you, most graciously. PEARL: You helped me more than you know, Mad—Robin. rem: I will cherish you all, always. SCARLETT: As we will you. MERCEDES: Till we meet again, then. rem: Indeed. winks at Mercedes You know your little Agnes has her own story? PEARL: You must tell us all about it. rem: All in good time, Mesdames. All in good time. SIMONE : Merci beaucoup. For everything. rem: My pleasure, Simone. My pleasure. The Darkwater Inn stands tall and proud in the French Quarter, the hub of New Orleans. Bourbon Street is bustling, and General Manager Adelaide Fountaine has her hands full with a hotel at full capacity. She, along with everyone else, is shocked when a body is found: a hotel guest stabbed with a kitchen knife. Detective Beau Savoie, Adelaide’s childhood friend, is on the case. As Beau digs into the victim’s past, he unearths a shocking connection between Adelaide and the murdered guest. Beau is hurt that his friend—the woman he’s quietly loved for years—kept the truth from him. And, to make matters worse, the stress of the investigation has sent Adelaide right into the comforting arms of her coworker Dimitri. But Beau can’t press Adelaide too hard . . . he’s keeping secrets of his own. Born and raised in Louisiana, Robin is a southerner through and through. Her passion has always been to tell stories to entertain others. 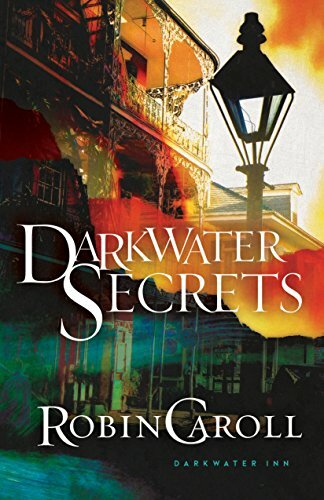 Robin’s mother, bless her heart, is a genealogist who instilled in Robin the deep love of family and pride of heritage–two aspects Robin weaves into each of her 30 published novels. When she isn’t writing, Robin spends time with her husband of twenty+ years, her three beautiful daughters and two handsome grandsons, and their character-filled pets at home–in the South, where else? 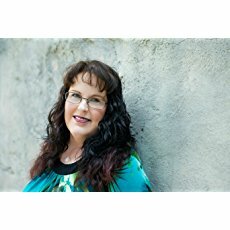 She serves the writing community as Executive Director/Conference Director for ACFW. 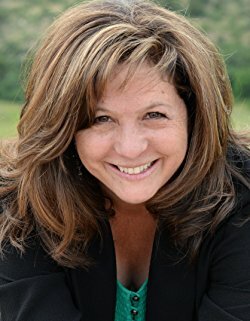 Her books have finaled/placed in such contests as the Carol Award, Holt Medallion, RT Reviewer’s Choice Award, Bookseller’s Best, and Book of the Year. 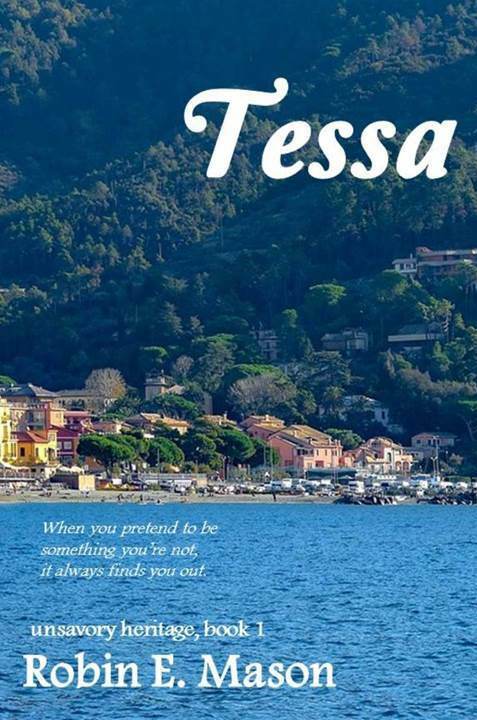 Leaving her self-imposed limbo in the Bronx, Sofie Michelli heads to Sonoma to stay with Lance and Rese at their villa, where she meets Matt, who is instantly intrigued, but before their relationship can progress, a beloved child from the past calls and sends Sofie into a tailspin–and back to New York. Kristen Heitzmann is the bestselling author of contemporary romantic suspense, psychological suspense, and historical novels, including Colorado Book Award finalist The Still of Night, Christy Award finalists Indivisible and The Tender Vine, and Christy Award winners Secrets and The Breath of Dawn that won both a Christy Award and Inspirational Readers Choice Award and was a finalist for a people’s choice award in the Netherlands. She is a fiction track and workshop teacher at writers conferences. An artist and musician, she’ll also be found hiking the Colorado Rocky Mountain trails near her home where she lives with her husband, pets, extended family, and wildlife. A master with the words, Ms. Heitzmann tells a story both poignant and compelling and breathtaking. As in real life, evil is pervasive in this story, but the Truth and Father’s love more so. I wept and chewed my nails and fought for Sofie to have her freedom and embrace true joy. I read in awe as Lance allowed himself—gave himself—to be used by God—and was. I begged Matt to give credence to their faith, urged him on as he struggled to reconcile two diametrically opposite experiences. 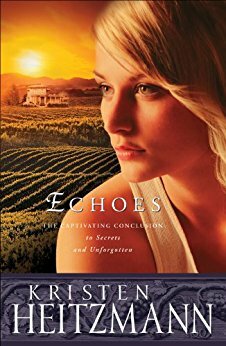 Echoes neatly concludes the Michelli Family Series. And yet, I could read more of this family, I could visit with them in the villa, another misfit who found a place to belong. “Gee, Sis!” I cried. “Just open the door and shove me out in traffic, why don’thca ya?” We laughed. My sister friend from church was taking me to lunch and we sat in the turn lane of a seven land very busy road, waiting to turn left. She had asked me about the RA, and was telling me about a study she had read on spiritual causes and sources of physical illnesses. Unforgiveness, apparently, was the thing that causes or triggers RA. Which I have. 43 “You have heard that it was said, ‘You shall love your neighbor and hate your enemy.’ 44 But I say to you, love your enemies, bless those who curse you, do good to those who hate you, and pray for those who spitefully use you and persecute you, 45 that you may be sons of your Father in heaven; for He makes His sun rise on the evil and on the good, and sends rain on the just and on the unjust. 46 For if you love those who love you, what reward have you? Do not even the tax collectors do the same? 47 And if you greet your brethren only, what do you do more than others? Do not even the tax collectors do so? 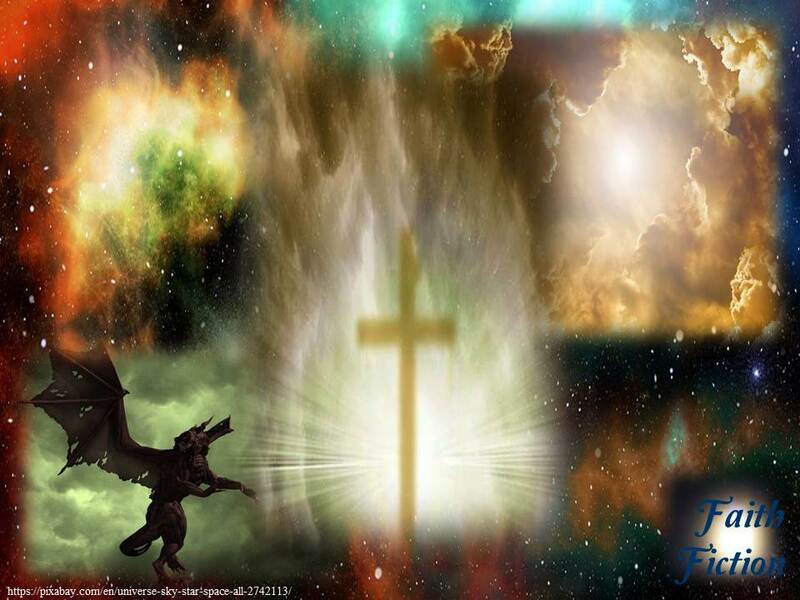 48 Therefore you shall be perfect, just as your Father in heaven is perfect. Rather opposite to what we see and expect in our world today. caveat: in no way does this equate to being a doormat or a victim. Forgiveness is not the same as enabling. Rather, it is opposite to that. While it may or may not bless or release the offender, it surely releases the offended. I felt like I had been held captive in a glass cube, not unlike phone booths of yore. And her words were the 2×4 that smashed it, shattering it to pieces on the ground at my feet. How could I? I had never thought of it. So I did. And truly, I believe that was the turning point in my years of healing, this journey I’ve been on. The same journey we all walk in this life. Forgive others? Easy peasy. Truly. Forgive me? Yes, I did it. Robin Elizabeth, I forgive you for feeling responsible for everything. Robin Elizabeth, I forgive you for trying to gain attention by performance. Robin Elizabeth, I forgive you for trying to gain attention by taking over. Robin Elizabeth, I forgive you for trying to gain attention by pretending to be the adult. Robin Elizabeth, I forgive you for not allowing yourself to have a childhood. Robin Elizabeth, I forgive you for feeling insecure. Robin Elizabeth, I forgive you for not teaching your kids accountability. Robin Elizabeth, I forgive you for not learning to love. [She who shall remain nameless] I forgive you for always making me feel I had to prove myself. [She who shall remain nameless] I forgive you for making me perform. [She who shall remain nameless] I forgive you for making me feel guilty that I was never good enough. [She who shall remain nameless] I forgive you for not loving me. [She who shall remain nameless] I forgive you for not liking me. [He who shall remain nameless] I forgive you for letting her. [He who shall remain nameless] I forgive you for sitting by. [He who shall remain nameless] I forgive you for not showing me what a husband should be. Was it fun? No. Was it easy? Not really. But is it worth it? Absolutely. “Scare me off?” I sipped at my tea, and shifted as the babe stretched. “Colo—” His raised finger interrupted me. It was lovely, mild for the first days of June, sunny with tempering clouds, and an easy breeze stirring. For all that the Colonel was a giant of a man, and his work—I never did know what exactly it was he did—in the darkest recesses of humanity, it might have made him an angry and violent and bitter man. But it did not. Non, the Colonel was most tender and thoughtful and considerate, and he always knew the best in a person. “He did, yes.” Awe stilled my voice, and trilled in my heart at the man I now called husband. We walked in companionable silence, serenaded as we were by nature itself, the folding of water over the rippled mud, the trill of birds as they danced in the sky. The sway of trees as the wind brushed the sky. “How did you know?” We had walked to the end of the boardwalk, and turned back, stopped to sit in the gazebo that perched over the marsh. He reached into his jacket, and pulled out another cigar. “I was watching you.” Smoke twirled along on the breeze. “Dogs, Colonel? Really?” Indignity and insult temporarily edged out the panic. “He wanted…” What? What had he wanted? CARYL: What genre(s) do you write? And what made you choose that genre? Because for all the ugly I write, Father is there. I’ve seen and lived through some ugly stuff, and though sometimes we want to question how this could happen, Holy Spirit has shown me that regardless of what happens, He is with us. And that’s what’s in my stories. CARYL: Are you a blogger? Does you blog have a theme? Have another’s blog site favorite? ROBIN: Yup! Robin’s Nest is all about family and friends gathering and hanging out. And books. I follow so many blogs it’s ridiculous, but Carrie Schmidt (above) has become a dear and precious friend. 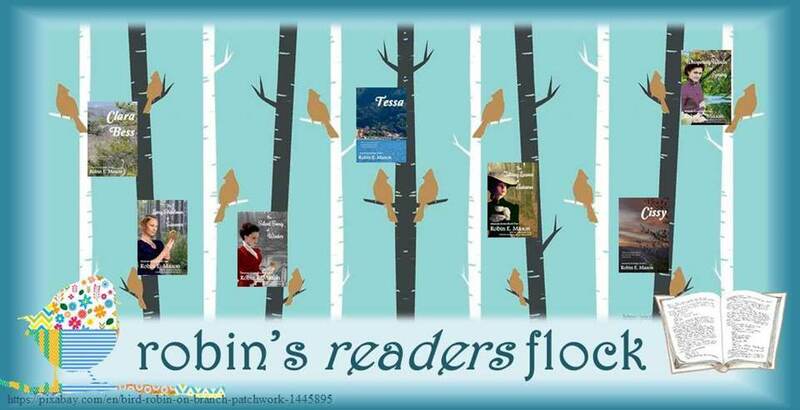 I have a readers group on Facebook as well—Robin’s Readers Flock! *would love to have you join us! CARYL: Where do you write? ROBIN: In my comfy little nest. I’m on the loveseat with all my necessary accoutrements readily at hand. CARYL: What are you working on now? Have a new story going? ROBIN: Welll…. I thought I was heading into a new series, The Steppe House (which incidentally will feature a truly minor character from the series just finished) but a singleton that I’ve been playing with for years has just informed me it’s actually the first in a series. FourSquare is four stories of twins, the first of which is One for the Price of Two. In which Bethy and Mere are so identical even their parents can’t tell them apart. It’s a departure from my previous genre, what I’m calling Romancedy. And I do plan to have fun with it. Neighbor kids have also asked me for stories, so I’m working on some kid stories. And a series for each of my granddaughters. CARYL: What advice would you give an aspiring writer? ROBIN: Do it. Don’t wait. 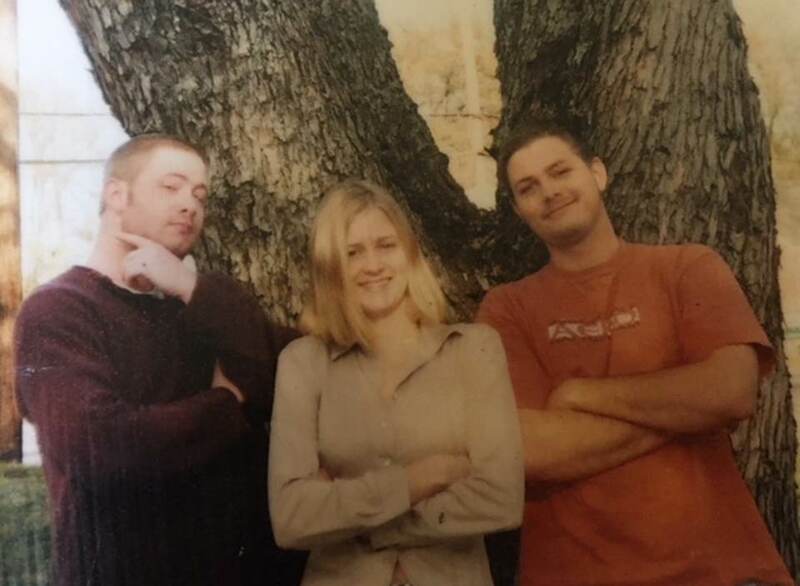 It’s like having kids, you’ll never “be ready.” And there’s never a “good time.” I open my first blog post with, “I’ve been thrown in the deep end. Of a deep ocean. In a tidal wave.” Truly I had no clue. But I learned as I went. But I did it. I writed. And you can too. CARYL: Have you always written in this genre? Why did you choose it? ROBIN: Women’s fiction, yes. Historical, no, I did not start off with that. Faith fiction, absolutely—before I even realized it, or named it! CARYL: How do you begin, organize your research? ROBIN: I keep a notebook and clipboard next to me, as well as a folder for each story, and subfolders. Couple of critical docs are who’s who, with names and birthdates, and who’s married to whom, etc. Notes of things that show up like the name of a store or a teacher or neighbor, what kind of car so-n-so drives. And because Seasons was such a compact timeline, I printed out calendar with each day so I could write when a particular / critical scene or event happened. CARYL: How do you develop your characters? Choose their names? CARYL: Which character took you by surprise? ROBIN: In my first novel, I was surprised to learn that a certain character whom I had thought was but a passing and minor role, was, in fact a praying person, and therefore quite the important behind-the-scenes role! CARYL: What about setting, how do you choose it? A familiar place or distant? ROBIN: The story chooses it for me. But I do locate the area on google maps and “borrow” (a) town(s) for my purposes. CARYL: Who did you dedicate your book to and why? ROBIN: Because Seasons is about four friends, I dedicated each of the books in this series to one of my best friends: Cyndi, Karyn, Donna, and Dana. CARYL: Is there one particular message or “moral of the story” you hope readers walk away with? ROBIN: Father is always there. I know we read it in Scripture, but to live through the darkness of this world and know He is with you. CARYL: What would be your dream vacation? Destination and mode of travel? CARYL: What is your favorite season, and why? 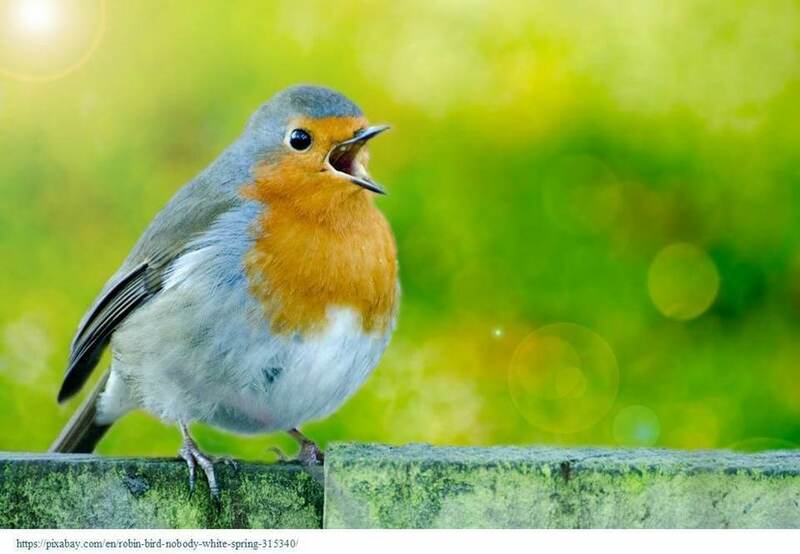 ROBIN: Spring—it’s a (ahem) robin thing. CARYL: Tell us about your family, children, ages, pets? ROBIN: I’m all about family. I have three grown kids, and two beautiful granddaughters. My daughter and her 12 year old daughter live across the street. My sons live in the area but not so close. My other granddaughter is 8 and she lives with her mom in another town. I have four kitty babies, Jasper, Juniper, Jake, and Penelope. CARYL: When did God first call you into this ministry? How has this changed you? CARYL: What was your initial response? ROBIN: I had no idea it was actually ministry! CARYL: Please share a testimony of a time when God moved mightily.